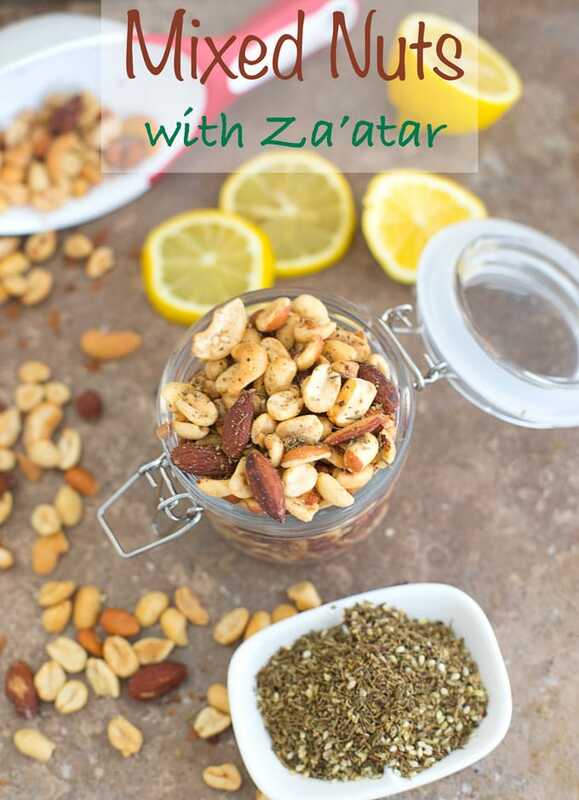 Mixed Nuts With Za’atar and Lemon is now my go-to snack! 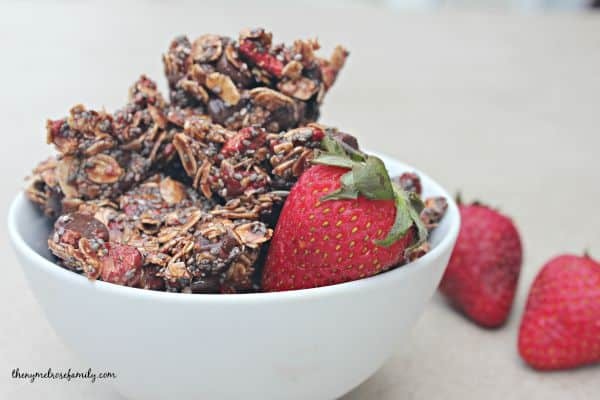 Its ready in less than 5 minutes making it a very easy snack anytime. You can put them in little snack prep bags and enjoy them all week. It also makes for a great snack for your game day guests. 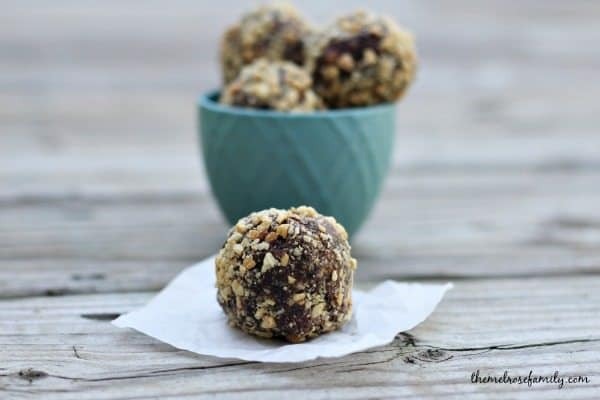 If you want back-to-school healthy snacks, these mixed nuts are it! Have you discovered Za’atar spice? Hello everyone, its Rini from Healing Tomato stopping by to bring you a delicious and healthy snack you can eat anytime! I have been eating Za’atar for a long time without realizing it. It was only recently that I found its name and started using it more frequently in my cooking. You must be wondering why I am talking about this spice on Jenny’s wonderful blog. Well, as I have found out recently, this spice is becoming very common in western cooking. Many of you, like me, are huge fans of cooking shows on TV. Have you noticed how Za’atar is being used more frequently by these TV chefs? Even cooking competition shows are loving this spice. So many of the competitors are using it to make breads and use it in meat rub recipes. This spice is becoming huge in this country because its so rich and flavorful. Many immigrants coming from the Middle Eastern countries are strating to grow wild thyme in their home gardens and its bringing so much awareness to this wonderful herb. I decided to try it in a simple, healthy snack that anyone can make. I just mixed a few nuts together and add Za’atar to it. For a little zing, I added some lemon zest and a few red pepper flakes. 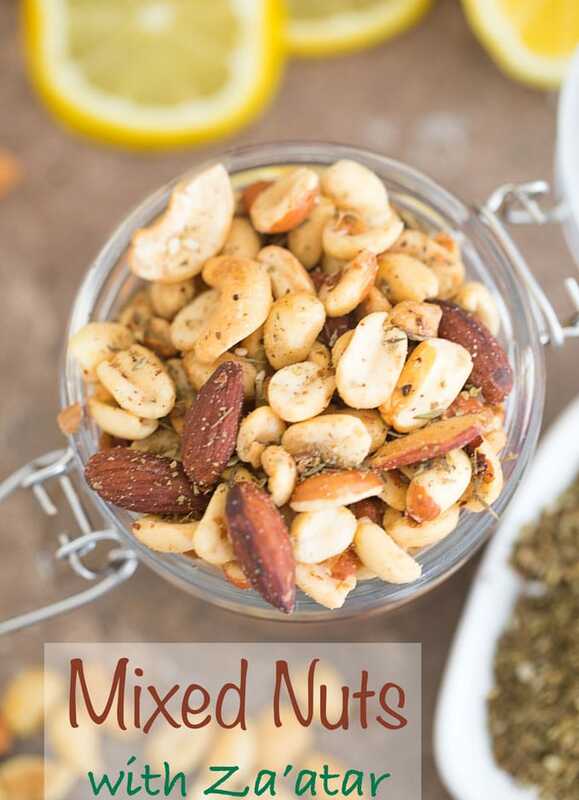 Mixed nuts are a perfect healthy snack for kids and adults alike. Add some spice by adding red pepper flakes. The mixed nuts can easily be turned into more of a trail mix by adding raisins, chocolate chips or pretzels. I put these mixed nuts in tiny zip-lock snack bags and kept them by my desk. It was so cool to have healthy snacks within reach, instead of grabbing a bag of chips! Or worse, some chocolate chip cookies! I plan to have a few guests over the big game weekend and I plan to make my Crazy Nutty Popcorn recipe using Za’atar. That’s the beauty of this recipe! I can add any nuts, pretzels, popcorn, raisins, etc. It will work perfectly in a trail mix recipe! So, how do you plan to use Za’atar? Be sure to send me a pic of any recipe you make. I am so curious to see your creative ideas. 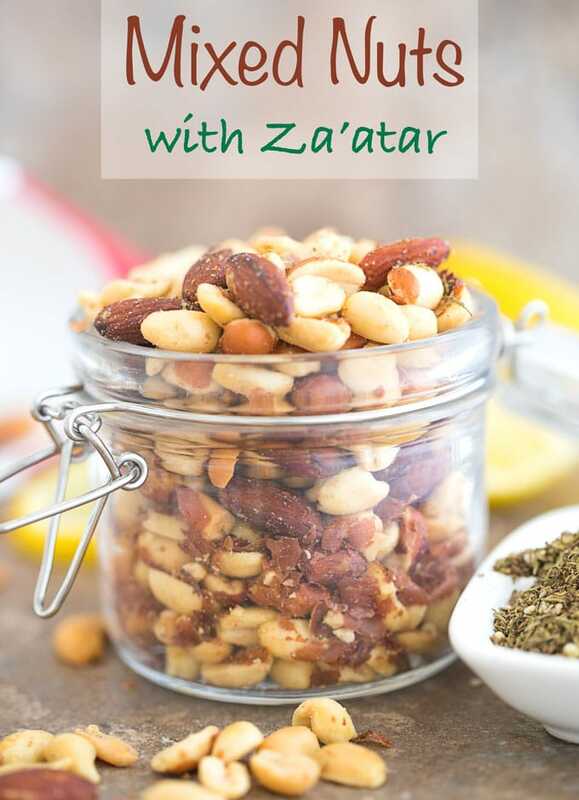 Nothing beats a healthy snack like mixed nuts with za’atar because of the aromatic and tangy flavor of the za’atar spice. 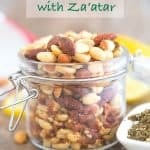 If you liked this Mixed Nuts with Za’atar recipe you might also like…. 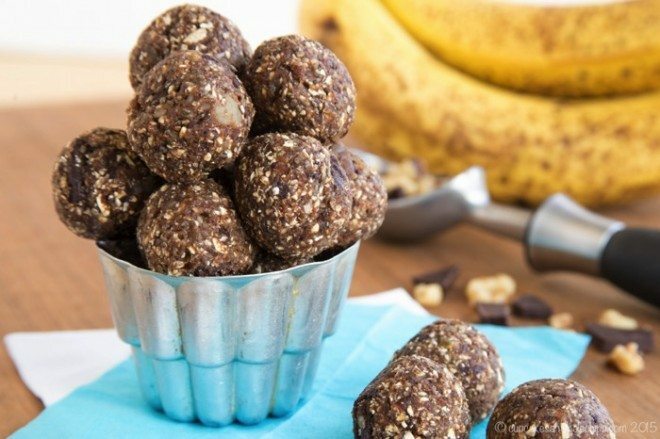 From left to right: Chocolate Peanut Butter Energy Balls, Chocolate Strawberry Energy Bites & Chunky Monkey Energy Balls.